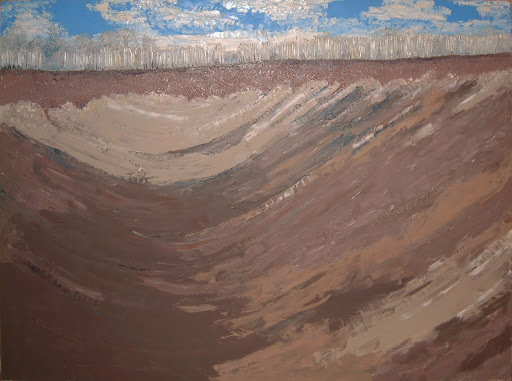 Oil painting called "Tule Fields" in my notes, though I don't know where I found the name. JLHS says RTH had been taking a class in Geology before he painted this. He was very interested in the land layers and had been on several field trips out in the country. I have this painting. It's 48" x 58".